Not everyone wants a diamond center stone in their engagement ring or anniversary ring. 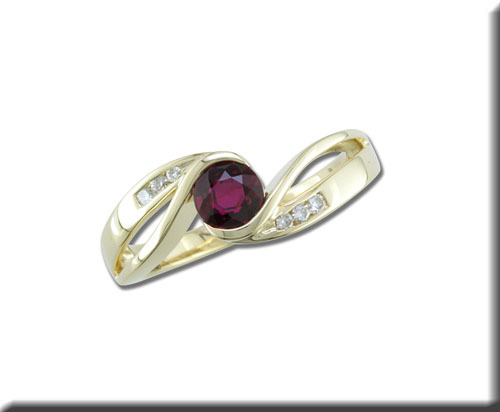 We have the very sweet Ruby ring with diamond accents that could satisfy those folks. This ring also comes with a matching band. We believe in choices and options for you.